The Great Salt Lake Resource and Development Council (GSL RC&D) is excited to announce the CSA Utah Association. The GSL RC&D leads CSA Utah efforts and runs all of its public events and outreach efforts. The CSA Utah Association will allow CSA Utah to grow for the first time since 2011! The GSL RC&D will continue to maintain the CSA Utah Website and social media sites, host at least one CSA Open House annually, and host workshops and farm tours as needed. 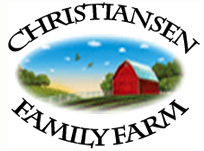 We are asking CSA Utah Farmers to help us help you by joining the CSA Utah Association. The CSA Utah Association is dues based. However, it is free for those who do not wish or are unable to pay. We are all-inclusive, and our online directory will remain the best one stop shop for Utah Consumers who are looking for a CSA. Funds raised from CSA Utah Association fees will be used to promote CSA Utah and its farmers through increased advertising and outreach efforts. We will provide more write ups on our website and social media sites, submit more press releases to local media and purchase as much paid advertising as the dues allow. The more we raise, the more we will be able to accomplish. Download the Association flyer and registration form.